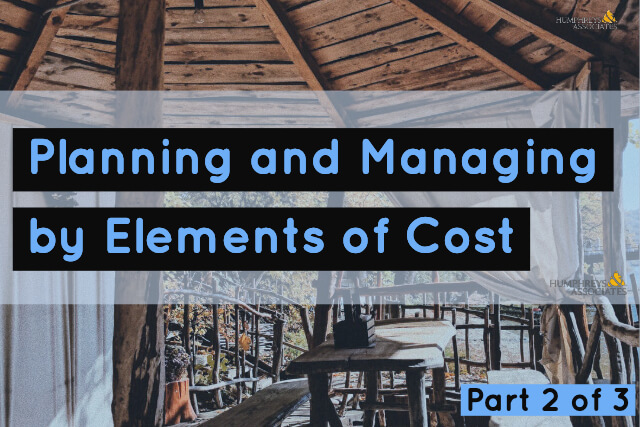 In part one of our series on Elements of Cost (EOC), we explained what EOCs are and gave an analogy of how EOCs would relate to building a patio. We also reviewed how EOCs can be “over thought” and emphasized the importance of properly applying indirect cost rates. This post is going to be focused on the Over-Application of EOCs. During some government reviews, the teams issued Corrective Action Requests (CARs) citing multiple examples of ACWP occurring on “zero-budgeted” Work Packages within Control Accounts. On the surface, this sounds pretty serious, but there were several “over-applications” in play here. Second, the CAR assumption was that a charge against an Element Of Cost (EOC) equals a charge against a “zero-budgeted WP”. 1) Comparison of the amount of planned budget and the amount of budget earned for work accomplished. This comparison provides the schedule variance. 2) Comparison of the amount of the budget earned and the actual direct costs for the same work. This comparison provides the cost variance. 1) Budgeted Cost for Work Scheduled (BCWS)? 2) Budgeted Cost for Work Performed (BCWP)? 3) Actual Cost of Work Performed (ACWP)? While the intent of the words “and other levels” and “at a minimum” was to ensure that contractors did not only perform analysis at some higher, summary level, the government’s choice of those sub-question words also opens up the application of the analysis at lower levels. Be that as it may, the over-application still exists where it should not. Variance Analysis is supposed to be at the CA level and rolled up to higher levels for analysis. The bottom line for each of the CARs written is that BCWS, BCWP, and ACWP existed at the Control Account level, and the EOC visibility was available for variance analysis explanations at the lower levels in the contractors’ systems. For the second point, let’s look at all the EVM Standard 748 Guidelines, specifically Guideline 16. GL 16. Record direct costs in a manner consistent with the budgets in a formal system controlled by the general books of account. Are elements of direct cost (labor, material, subcontractor, and other direct costs) accumulated within control accounts in a manner consistent with budgets using recognized acceptable costing techniques and controlled by the general books of account? Humphreys & Associates is available for consulting and information on this topic. Give us a call!